Maputo is the capital city of Mozambique. 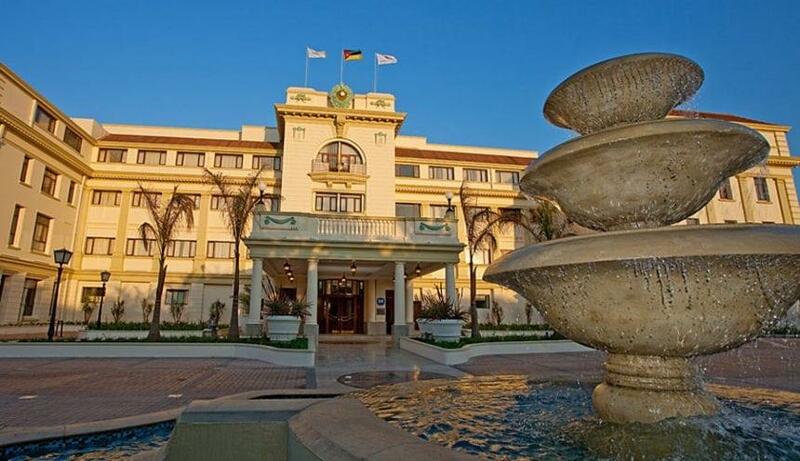 With a magical vibrant blend of Portuguese architecture, African ingenuity and exotic cuisine, Maputo is a fascinating African city. Since the end of the civil war, roads have been resurfaced, running water and electricity have been restored, and lots of development is taking place. 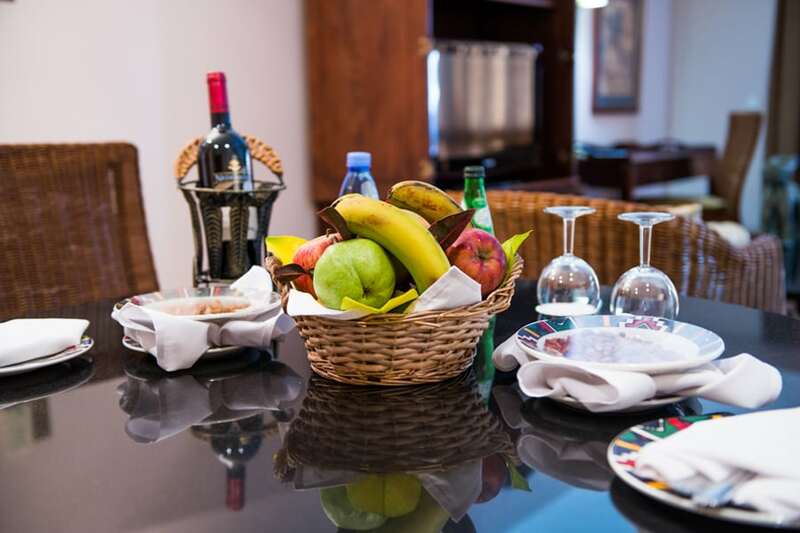 There are several museums and other places of interest, including the well-known Mercado Municipal market, an 18th century fort, and the Roman Catholic Cathedral, which is one of Maputo’s most impressive buildings. 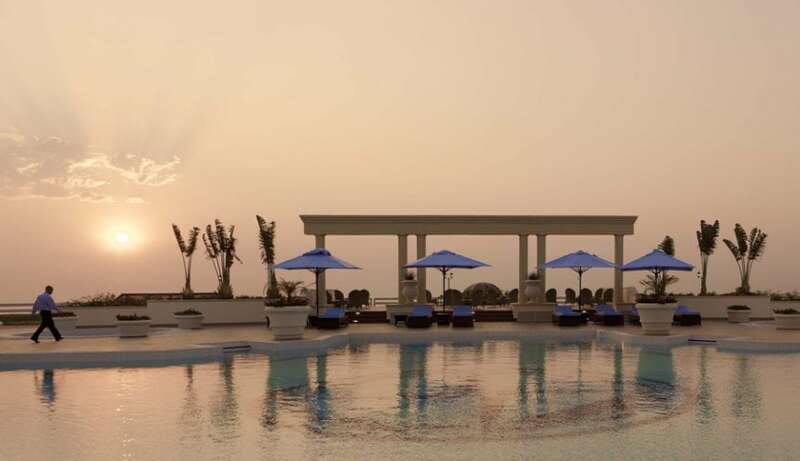 Maputo is not really a leisure destination, but can be a fascinating stopover on the way to one of the holiday destinations further north or the magnificent islands off the coast of Mozambique. 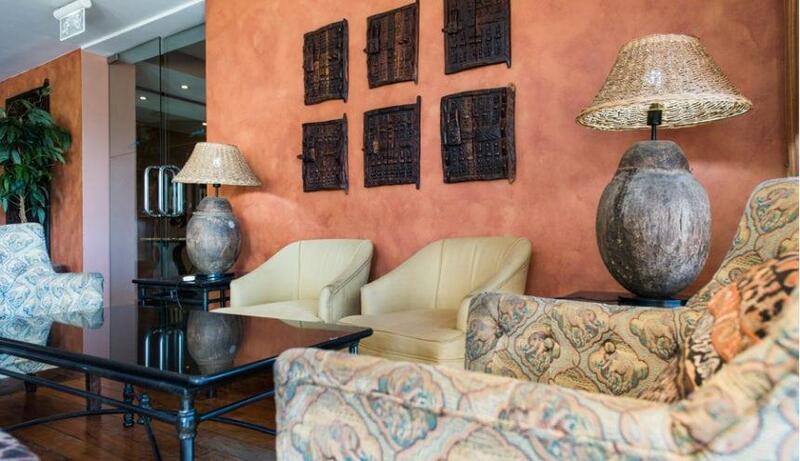 Located in the heart of Maputo, in front of the old Cathedral, the 4-star Pestana Rovuma Hotel is a unique city hotel that combines modern comfort with a traditional African atmosphere. 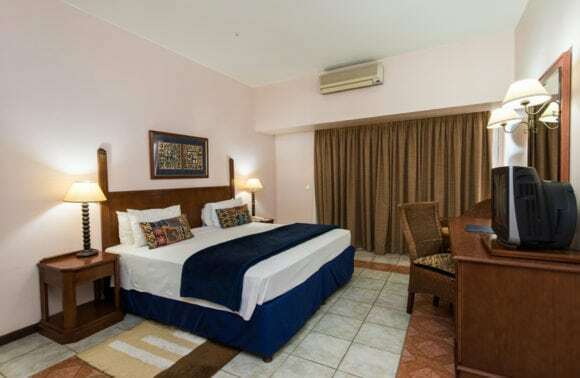 The Hotel, 10 minutes from Maputo International Airport, boasts 200 air-conditioned rooms, including 42 suites overlooking the Bay of Maputo and the city. It has it’s own shopping centre as well as international office facilities. 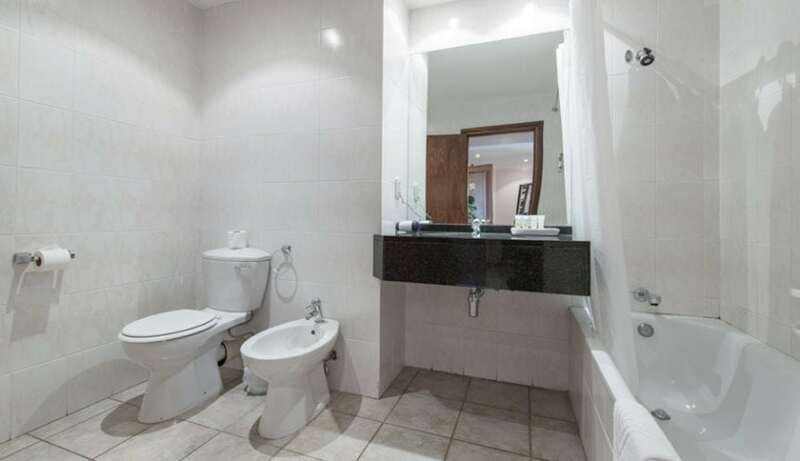 All rooms have en-suite bathrooms, air-conditioning, satellite TV, mini-bar, telephone, hairdryer, safe and 24-hour room service. 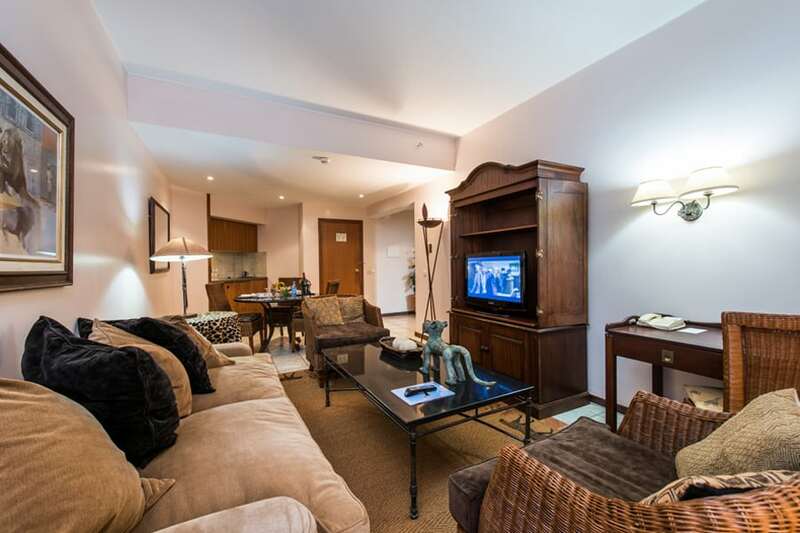 Some rooms have a balcony and kitchenette. 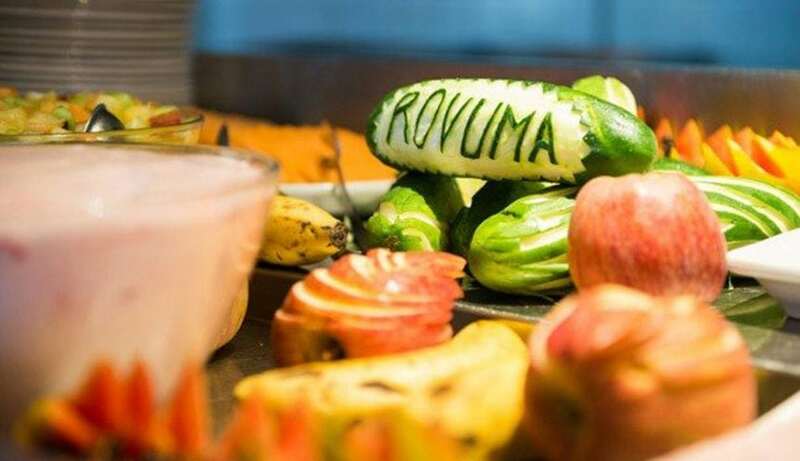 The Pestana Rovuma Hotel has one main Restaurant on the second floor called Monomutapa, named after a royal warrior from Gaza Province. This Restaurant is open for breakfast, lunch and dinner, serving buffet meals and an à la Carte menu service. 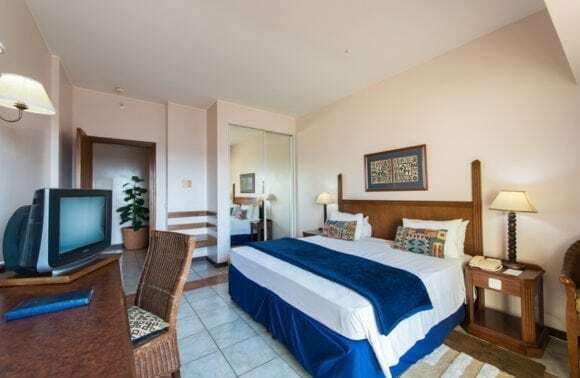 Located on the ground floor you will find the Mafuta Bakery side by side with the Bula Bula Coffee Shop, with its attractive outdoor terrace. The Cocktail Bar on the second floor is called Saseka, the Mozambican word for “warm welcome”. Situated on the same floor is the Pool Deck Bar; Djambu which means “sun”. 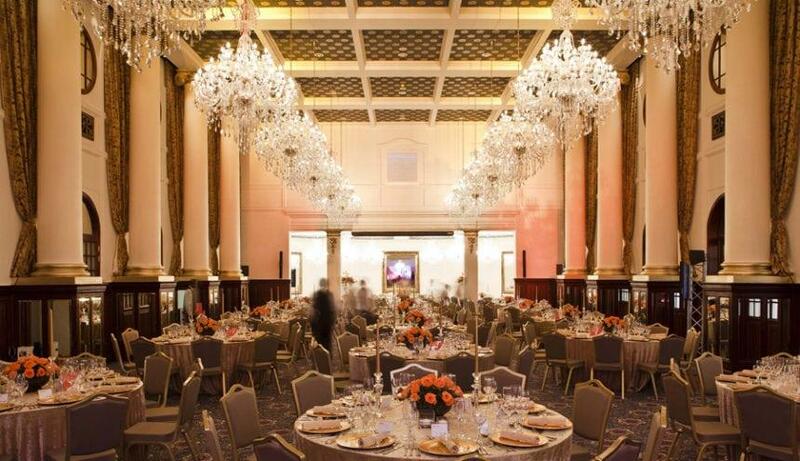 The Hotel has facilities to cater for all conference and banqueting requirements for groups of between 10 and 300 guests. A comprehensive range of equipment is available: film and slide projectors, public address system, translation services, audio visual aids, adjustable stages/ramps, portable dance floor, white boards and flip chart. 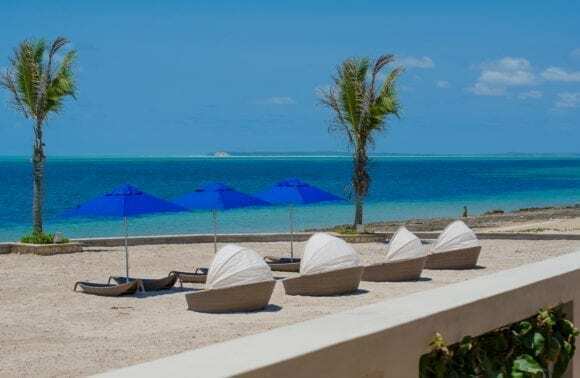 The Pestana Rovuma Hotel is ideal for the businessman, or for a stopover on the way to one of the beautiful islands off the coast of Mozambique. 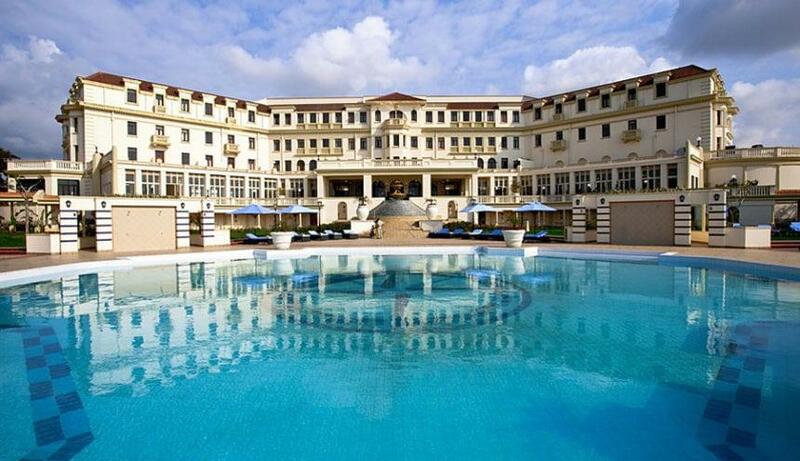 The majestic 5-star Polana Hotel is situated on the Avenida Julius Nyereye, overlooking the Bay of Maputo. 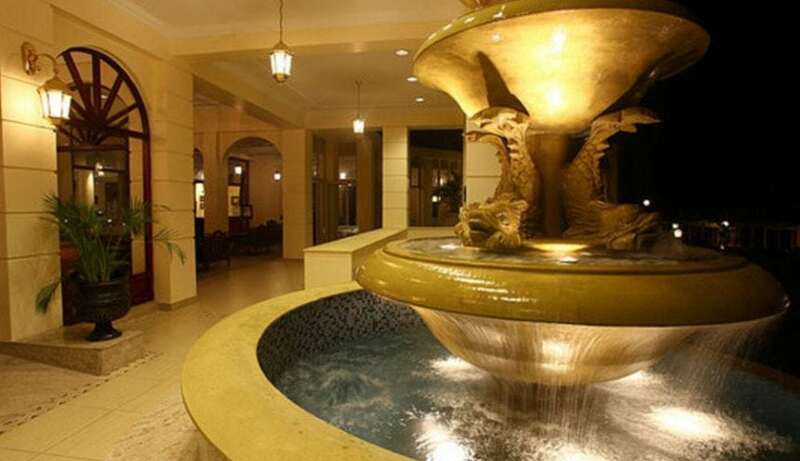 Magnificent landscaped gardens and an enormous sparkling swimming pool, combined with added facilities like the Casino, hair salon, bank, travel agency, art gallery and car rental offices, make the Polana Hotel an ideal weekend leisure destination. 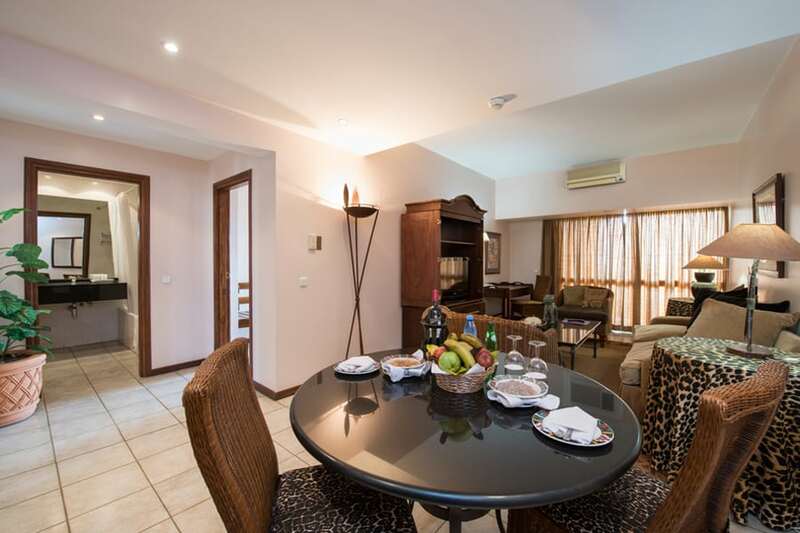 There is also a Tennis court and Health Spa with steam room, gymnasium and aerobics. Ideal for a stopover on the way to the islands for holidaymakers, the Polana is also perfectly located for the business traveller, with several Meeting and Conference rooms with a capacity of 2 – 300 people. Conference rooms are fully equipped with Multi System TV and Video Recorder; Music System with Tape/C.D. player; Public Address System; Flipchart; Screen; Whiteboard and Slide Projector. Computer, photocopy and fax facilities are also available, as well as secretarial services during working hours. PLEASE CONTACT US FOR FURTHER INFORMATION AND RATES. 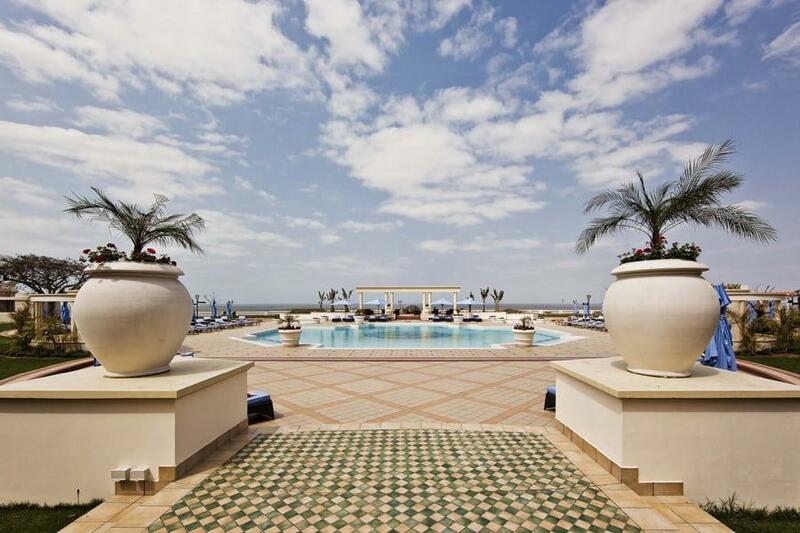 The Hotel Cardoso is situated on the hillside with a panoramic view of Maputo Bay. There are 130 Twin / Double bedded air-conditioned rooms, all with en suite bathrooms, 24 hour room service, Satellite TV, mini bar, safe, direct dial telephone, hair dryer and internet connection. The Commandant Restaurant and Veranda offers an á la Carte menu or buffet, and overlooks the hotel lawns and magnificent pool area. 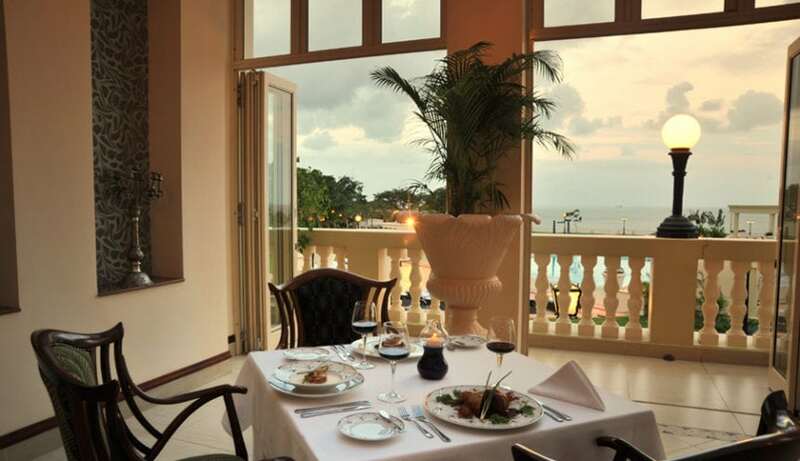 The Por do Sol Bar is perfect for sundowners, while you watch the sun set over Maputo Bay, and the Café Navegador is open till late, and is ideal for light snacks or meals, delicious pastries, or simply a cup of coffee. 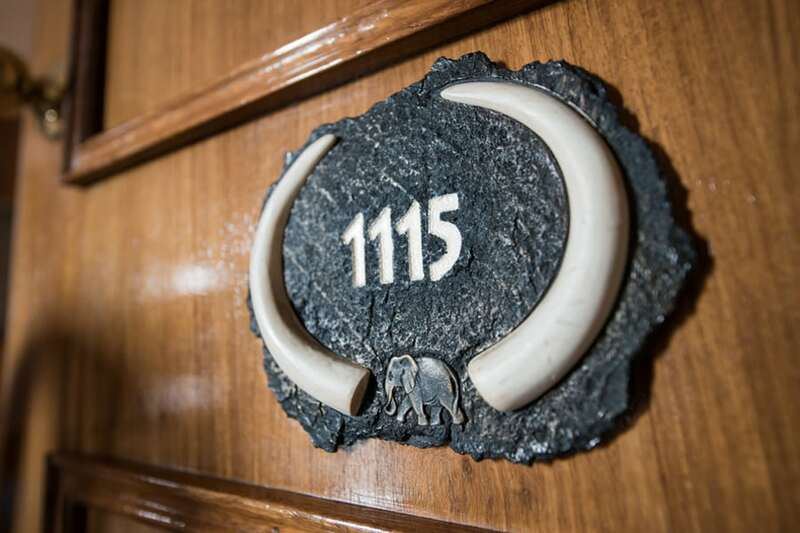 There are four meeting rooms for up to 20 people. All conference audio-visual aids can be provided on request or quotation. The Business Centre offers typing, printing, photocopies, fax secretarial services, e-mail and internet access. Moçambique lies along the southeastern coastline of Africa and boasts 2500 kilometres of pristine coastline. 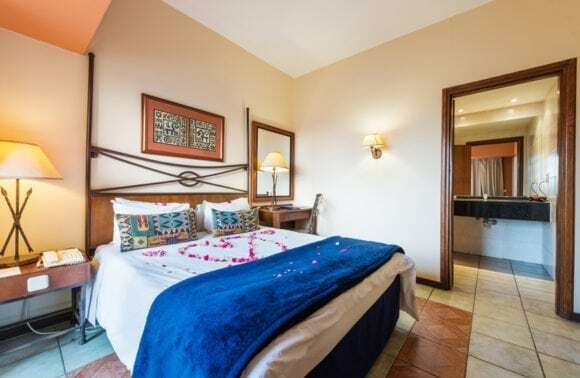 Formerly a Portuguese colony, it has once again become the playground of South African and international tourists who visit the turquoise waters of various islands and coastal resorts. The Capital City of Mozambique is Maputo, situated in the south. 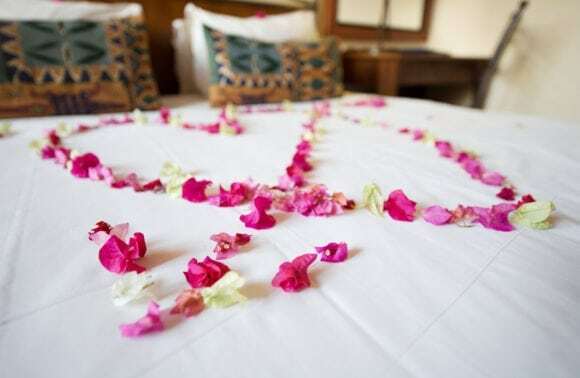 The official language is Portuguese, although English is quite widely spoken especially at the various resorts. Environment The coastal plain, in the south, rises to mountains and plateaus in the north and west. Two of Southern Africa’s longest rivers, the Zambezi and the Limpopo, flow through Mozambique. Other major rivers include the Save and the Rovuma, which forms the northern border with Tanzania. Lake Malawi, also known as Lake Nyasa, forms part of the border with Malawi. As you go westward, the land changes abruptly from a narrow, palm-studded strip of beach along the coast to a broad belt of savannah and woodland, then forested mountains. Trees include hardwoods, acacia and papaya. Fauna include the rare, endangered black rhinoceros. There are many regional variations in Mozambique, but generally the hot, rainy season is from October to March with the average daily high hitting 31°C (88°F). The dry season runs from April to September, when the average daily high tops out at 27°C (80°F) on the coast, while it is somewhat cooler inland. Getting There One can drive from Johannesburg to Maputo, or travel by bus or train. 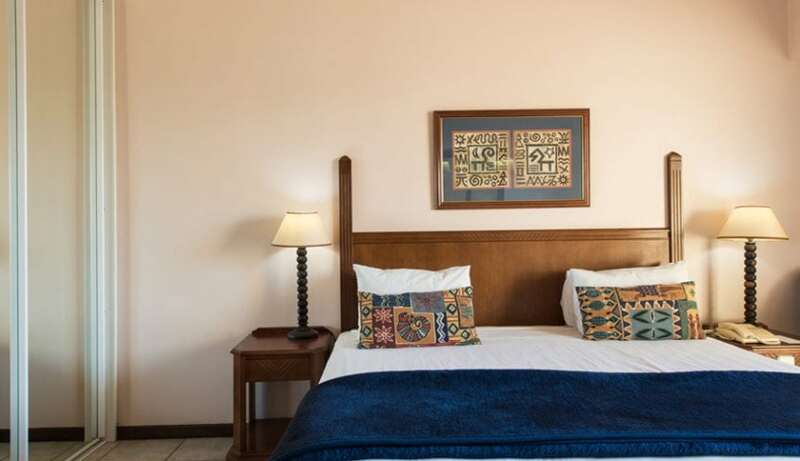 South African Airways and LAM (Linhas Aéreas de Moçambique) fly regularly to Maputo. Because of the great distances, to reach the magnificent islands in the Bazaruto Archipelago and the Quirimbas Archipelago, it is better to fly. LAM, the Mozambique Airline offers regular flights from Jo’burg to Inhambane, Vilanculos, Pemba, and various other centres in Mozambique. Airlink offers convenient direct flights between Jo’burg to Pemba on Mondays, Wednesday, Fridays and Saturdays. Benefits for Airlink travellers include Voyager Miles and convenient interline connections with SAA, their Star Alliance partner flights and other international carriers both locally and globally, making Pemba and the stunning Quirimbas Archipelago even more accessible! Mozambique GSA have specially reduced IT fares on all the airlines, so please contact us for the best rates on fly-in packages. Citizens and nationals of all countries, except citizens of the following countries: Botswana, Malawi, Mauritius, Swaziland, South Africa, Tanzania, Zambia, and Zimbabwe, require a visa when travelling to Mozambique for Tourism. This legislation prevails and has not changed in anyway – the Mozambican government has merely enforced the regulation regarding pre-application of visas for these nationalities, and it is now a matter of the relevant border control areas implementing the necessary measures, following a high volume of travellers attempting to enter the country with no valid purpose or suitable documentation. Further details according to ACIS, Mozambique: Border visas are only issued to people travelling for purposes of tourism, and only for people coming from countries where there is no Mozambican consular representation. 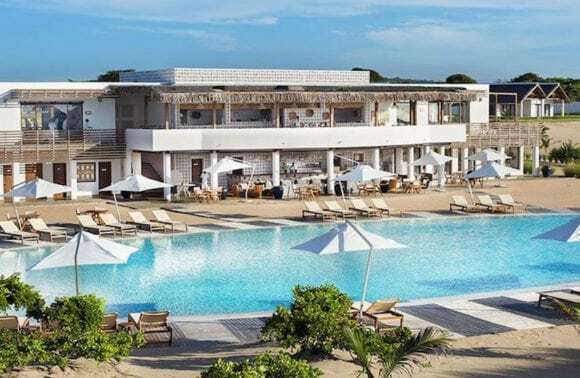 If a person is travelling from a country which has a Mozambican consulate which issues visas then a tourism visa must be applied for before travelling. People travelling for tourism purposes and coming from countries which do not have Mozambican consular representation must present on entry: a passport with at least 6 months validity and several blank pages; a return air ticket (for air travelers); an invitation from family / friends that they are visiting or a confirmed hotel reservation. There is room for approval of a border visa for someone coming from a country with a Mozambican consulate who has not had time to apply for a visa, if they can demonstrate that they have an urgent need for the visa, for example on compassionate grounds. However the issue of a visa in this case is discretionary. Kindly note that Mozambique GSA is a Tour Operator, and these regulations are beyond our control. We cannot be held responsible for any amendments to visa legislation, changes in consulate contact details and information relating to visa applications or the application thereof. We recommend you contact your local Mozambican Consulate for updated information and advice. Should you require confirmation letters for any of your bookings for visa application submission, we will gladly assist you in providing the necessary documentation. Visas for Mozambique are not required by SA Passport Holders. Please CONTACT US if you have any queries. Health Precautions No vaccinations are required when visiting Mozambique. However, as a precaution, Malaria tablets should be taken. Please consult your doctor or pharmacist. Except at the upmarket resorts, it is not a good idea to drink unbottled water. We recommend you bring along the following personal medication: Insect repellent, suntan and blockout creams, Immodium, Malaria tablets and antihistamine creams. Currency The unit of currency is the Metical (plural Meticais), however US Dollars and South African Rands are the more readily accepted currencies.